Has anybody ever calculated white murder rates by state? - So, we must disarm everybody to stop blacks from killing so many. But, white people don't like talking about black people, they like talking about how much they hate other white people. They especially like coming up with theories about other kinds of white people. For example, the state with the highest homicide rate is usually Louisiana. Just think what savage redneck monsters white people in Louisiana must be. Didn't you watch Deliverance or read Albion's Seed? They really don't like it when I point out that state-by-state differences in murders are dominated by the percent black. Anyway, I read a lot of theories about differences in white homicide rates between the states, but does anybody have any good numbers? The Bureau of Justice Statistics will tell you the homicide rates for the whole country for blacks and "whites" (whites plus Hispanics), but I can't find rates by states. It's not hard to find homicide rates per state overall, but not by race. Here's an unsourced table on what percent of homicide victims are by race by state, which might be a piece of the puzzle. Finally, it would be best to have a decade or so of data since murder rates in small states jump around semi-randomly. 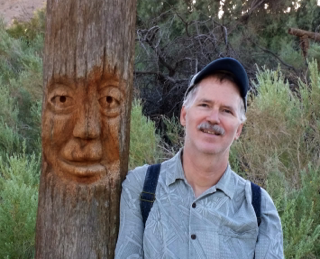 First, you can make a tax deductible contribution via VDARE by clicking clicking here. Second, you can make a non-tax deductible contribution by credit card via WePay by clicking here. One of the standard acceptable explanations for high crime rates is "inequality." The most realistic implication is that the poor are driven mad by the sight of the rich, and thus engage in crime. This is not wholly unreasonable, prima facie, yet it's hard to think of persuasive American examples these days. For instance, inequality has grown enormously in New York City since Wall Street turned up in 1982. Yet, crime is quite low in NYC these days. Perhaps, in contrast to the theory, rich people can afford to hire a lot of cops and private security, driving crime rates down for everybody? The murder rate in Newark is about four or five times higher than in New York, but there has to be fewer rich people in Newark than in New York, right? In contrast, there are few rich people left in Detroit, but the number of murders there in 2012 is the highest since the crack year of 1994. Here is the FBI's table of murders per 100,000 in 2009 (city only, not metro area). At the top of the list, New Orleans and Washington DC have some rich people (maybe Oakland), but most of these murder capitals are pretty bereft of The One Percent these days. Another respectable theory is that "homogeneous" cities are, uh, easier to police. But Honolulu has a low murder rate. The last popular theory is that heavily armed rednecks are murdering everybody, but there doesn't seem to be much evidence for that idea in this table, either. Philip Tetlock's 2005 book Expert Political Judgment raised amusing doubts about the accuracy of professional public affairs forecasters. It was once hoped that really understanding the structure of the economy would also help in the sort of unconditional forecasting that Gardner and Tetlock are more interested in. Alas, that turned out not to be true. Big “structural” macroeconomic models predict no better than simple correlations. Even if you understand many structural linkages from policy to events, there are so many other unpredictable shocks that imposing “structure” just doesn’t help with unconditional forecasting. But economics can be pretty good at such structural forecasting. We really do know what happens if you put in minimum wages, taxes, tariffs, and so on. We have a lot of experience with regulatory capture. At least we know the signs and general effects. Assigning numbers is a lot harder. But those are useful predictions, even if they typically dash youthful liberal hopes and dreams. Doing good forecasting of this sort, however, rewards some very hedgehoggy traits. Focusing on “one analytical tool”—basic supply and demand, a nose for free markets, unintended consequences, and regulatory capture—is essential. People who use a wide range of analytical tools, mixing economics, political, sociological, psychological, Marxist-radical and other perspectives end up hopelessly muddled. Keeping analysis “simple and elegant” and “minimizing distractions” is vital too, rather than being “comfortable with complexity and uncertainty,” or even being “much less sure of oneself.” Especially around policy debates, one is quickly drowned in mind-blowing detail. Keeping the simple picture and a few basic principles in mind is the only hope. In other words, there is a big difference between macro and micro forecasting. Macro forecasting needs all the factors, and nobody understands all the factors. Micro forecasting, in contrasting, can benefit from theory. Micro forecasting is policy analysis, which benefits from using the economic concept of "all else being equal." For example, in the late 1970s, the state of California passed a law allowing local municipalities to impose rent control on landlords. In microeconomic theory, this is not a good idea. And indeed, living in Santa Monica in 1981-82, as a newly minted economics major, I could observe rent control in action: my landlady treated me with all the warmth of a Serb hosting German soldiers in WWII. She invested nothing in the upkeep of the apartment in the 22 months I was there. In the long run, it's clear that rent-control is not really a good idea. Not many municipalities in California still have it. On the other hand, ones that do, such as Santa Monica, West Hollywood, and Berkeley, are typically not post-apocalyptic wastelands, either. Indeed, the rent-controlled municipalities tend to be ones favored by geography, and thus attract smart, well-heeled people, who figure out ways to make it work. To make an all-else-being-equal forecast about the impact of imposing a policy of rent control on Santa Monica, you only need to know that it would cause less investment in apartment buildings than would happen otherwise. On the other hand, to make an unconditional forecast about what Santa Monica would wind up like, you'd need to understand a lot more factors, especially about human capital, which economists are not very bright about. And that's the bigger lesson to be learned. As more data is available from the exit polling, the extent of the marriage gap – the differences in candidate choice between married and unmarried women – becomes more obvious and undeniable. And as this chart make clear: the marriage gap transcends all racial, age, income, education and other distinctions. Young or old, rich or poor, white, black or Hispanic, unmarried women voted overwhelmingly in 2012 to reelect President Obama. I don't like how the righthand "Marriage Gap" column is double-counted, although that seems to be the standard way that gaps get talked about. People like double-counting because it makes whatever gap you are worked up over seem too huge to grasp mentally -- e.g., the Race Gap in Texas was something like 150 points! But even if you divide the Marriage Gap figures by two, the way I like, they're still a big deal. This is the time of year when many pundits make predictions (and a few pundits even assess how their predictions of last year worked out), but not me. Granted, I'm always willing to make some predictions -- Compton will be outperformed by San Marino in school test scores! Switzerland will be a nicer place to live than the Congo! -- but nobody seems to find those very interesting. 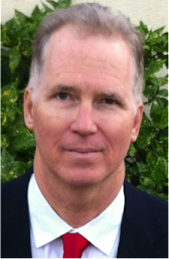 Political scientist Philip Tetlock published a well regarded book in 2005 Expert Political Judgment recounting the results of having 284 experts make 83,000 forecasts. Something I've never seen discussed in all the writing about Tetlock's study is whether his experts were allowed to pick and choose which questions to answer. Or did they, being famous experts, simply volunteer their opinions on everything he asked them? One of the psychological measures or metrics which Tetlock found was well correlated with expert accuracy goes back to a distinction introduced by Isaiah Berlin in his book, The Hedgehog and the Fox. I haven’t read that book, but based on Tetlock’s presentation, Berlin distinguished between two cognitive styles to which he gave these colorful names. The hedgehog is said to know one thing and know it well. He sees events and trends in terms of his big idea, and aggressively extends it into new realms. Hedgehogs tend to be confident in the applicability of their fundamental concepts and impatient with those who "do not get it". Foxes in contrast know many small things which they bring to bear in their analyses in a dynamical and flexible way. They tend to be uncertain and flexible, "on the other hand" types who are skeptical about their own predictive ability and in fact about the whole enterprise of making predictions in such an intractable realm. Assume there are two polar routes to becoming a prominent forecaster. One is the fox route where you never have any big new ideas, but you strike people as boringly sensible about a lot of stuff (I associate this path with the name David Gergen, although for all I know he may have been routinely wrong about everything -- he was too boringly sensible sounding for me to pay enough attention). Or you can make your name by being right about one new thing once, then pound it into the ground over time as returns diminish. (Maybe Jack Kemp and cutting taxes). The foxes may be better about predicting a few dozen events. Yet, from the perspective of history, it's the hedgehogs who matter. Consider popular music as an analogy. The foxiest band of the rock era may have been Three Dog Night, an agglomeration who had a number of major hits in the late 1960s and early 1970s without trying to develop a distinctive sound. They had three different lead singers, they hired experts to play the instruments, and they seldom wrote their own songs, instead preferring tunes by professional songwriters such as Randy Newman, Laura Nyro, Harry Nillson, and Hoyt Axton. The rock era was longer on hedgehogs than multifaceted foxes, and perhaps the hedgehoggiest band of them all was The Ramones. Occasionally, they would try a little bit different style, but over a 20 year period, their best stuff sounded like their first single Blitzkrieg Bop, a 1976 song that in the 1990s started to get licensed for commercials, and still makes a fortune in licensing (e.g., in 2012 it became the theme song of NFL Thursday Night Football). The Ramones didn't have the musical talent of Three Dog Night, but for a little while (July 4, 1976 in London) they really were the future of rock and roll. For example, The Clash saw the Ramones on this tour, and their first single White Riot is pure Ramones. But, by nature, The Clash were foxes, so foxish that the doors flew off in a half decade. P.S. I see Mr. Rockrobster23 came up with the hedgehog v. fox distinction for the Ramones v. Clash back in 2009. So, the total number of fatalities from mass shootings since some point in the 1980s is roughly the same as the total number of homicides in Chicago this year (500). On the other hand, most of the victims in Chicago are minorities. Most have criminal records. Indeed, a large fraction of the Chicago victims are drug dealers who might well have been the shooters themselves if only they'd shown more initiative (or better marksmanship). Mass shooting victims, in contrast, are almost all random innocents. Indeed, the most recent mass shooters might be engaged in some kind of competition to come up with ever more outrageous samples of innocents, such as moviegoers or small white children. 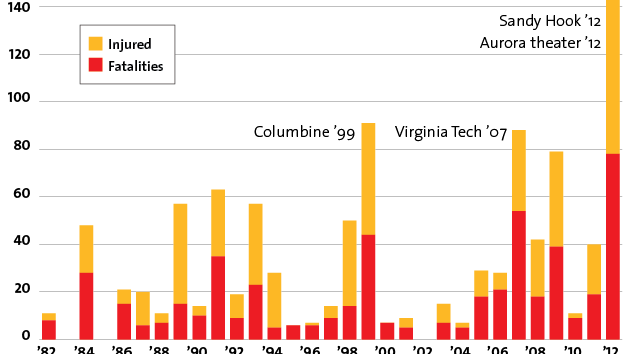 By the way, you can see the collapse in mass shootings after the school shooting outside San Diego that I covered in early 2001. I argued at the time that we would see more and more such copycat crimes. Yet, the following year, 2002, was the only one with no victims since 1985. Mass shootings are unlike most other kinds of violence in that there's no particular logic to their causes other than desire for notoriety and copycatism, both murky motivations. If the authorities let criminals, say, get away with carjackings, then there will be more carjackings. It's only rational. Yet, the rationality of these crimes makes deterrence more feasible. A variety of outrageous crimes -- carjacking, kidnapping, home invasion, even mugging -- have been increasingly deterred in recent decades. But nobody ever gets away with a mass shooting. Which means that, by definition, deterring mass shootings is difficult. So, we need to prevent them. But the methods proposed for preventing such unusual and cloudy crimes -- putting a brave marksman cop in every school, taking away 300 million guns, locking up the weird, arming kindergarten teachers, etc. -- are not terribly confidence inspiring. Since nobody knows for sure what to do, this makes mass shootings ideal for arguing over. Everybody gets to expound on their favorite prejudice -- stomp on rednecks, hire gun lovers to sit in schools, or whatever -- without much connection to what will happen next. “Les Miserables” should have feminists like me up in arms. The musical takes the female characters from a 150-year-old novel about a French rebellion and makes them bit players — even though they figure prominently in the book (and in the marketing for the musical and movie). They exist not to drive the plot but to sacrifice for the men, the real stars of the show. But I can’t help it: I love “Les Miz.” As a theater historian who studies gender and sexuality in the American musical, when women are abused or marginalized on stage, I notice. Yet “Les Miz” never fails to move me. Les Miz's pounding music gave me a headache when I saw the Broadway touring company a couple of decades ago. My main memory of the three hours is my increasingly frantic search during intermission for a drug store on Michigan Avenue that could sell me a bottle of aspirin. But, don't let my experience bias your enjoyment! ... And the fact that viewers are flocking to a movie full of outdated gender roles reminds us that, though we’ve seen gains in gender equity in politics and pop culture in the past few decades, old stereotypes still persist — and, somehow, we still love them. I live with this contradiction of outdated gender roles within pop culture every day. Looking at culture through a feminist lens doesn’t mean that you don’t have fun or sing along. It means that you can also see what’s missing or what’s politically troubling. Audiences in the late 1980s accepted such gender slights, but what about now? Samantha Barks, who plays the rejected Eponine in the new movie, told the New York Times that she receives tweets every day from girls who say they relate perfectly to the character’s longing: “Why am I always Eponine?” they write. Despite bigger, stronger and more complex roles for women in television and film and on stage, the smaller, diminished tragedies of “Les Miz” still resonate with viewers in 2012. Why? Largely because they’re familiar. But for anyone who thinks critically about gender, it’s unsettling. Those are some fine movies! These women are strong, clever and, yes, vulnerable. Okay, okay, Obama won by demonizing the Republican War on Women, just like Bill Clinton won in 1992's Year of the Woman, when we had to put up with lowbrow feminists like Susan Faludi and Naomi Wolf being treated as the second coming of John Stuart Mill. But, the election's over, so can the feminists please now go back to their university sinecures until the Democrats need them in the next election, and stop boring the rest of us with their self-indulgent lack of logic? Classic from the files: Why do car salesmen dress like that? About a decade ago, Edmunds.com paid journalist Chandler Phillips to get sales jobs at a couple of L.A.-area new car dealerships and then write "Confessions of a Car Salesman" about what he'd learned. I stumbled upon this during the long debate initiated by Malcolm Gladwell when he responded incredulously to Judge Richard Posner and me objecting to his contention in his bestseller Blink about why car salesmen charge blacks and women more. Gladwell contended that car salesman discriminated against blacks and women in price negotiations only because they didn't realize they were unconsciously discriminating even though it was costing them money. Posner in The New Republic and I in VDARE argued in negative reviews of Blink that car salesmen tend to be jerks who have a pretty good idea of how to weasel more money out of people. What [car salesmen] think is cool is viewed by the public as tacky and obvious. For example, why do they insist on wearing white shirts and silk ties? Or what about gold watches, rings and chains? Who wears that stuff anymore? Don't they realize they are turning themselves into walking cliches? The only answer I came up with was that, as a salesman, I spent all my time with other salesmen. They were my friends. Believe it or not, I tried to fit in, to belong. So I began to develop an interest in gold ties, white shirts and dress shoes. I even grew a goatee because a lot of the guys had beards. And I put gel on my hair and combed it straight back. Since I was still a "green pea" the other salesmen tried to push me to wait on undesirable ups — the undesirable customers who the salesmen thought wouldn't or couldn't qualify to buy a car. My manager had, at one point, described the different races and nationalities and what they were like as customers. It would be too inflammatory to repeat what he said here. But the gist of it was that the people of such-and-such nationality were "lie downs" (people who buy without negotiating), while the people of another race were "roaches" (they had bad credit), and people from that country were "mooches" (they tried to buy the car for invoice price). I'll repeat what Michael, my ASM, told me about Caucasians . He said white people never come into the dealership. "They're all on the Internet trying to find out what our invoice price is. We never even get a shot at them. I hate it. I mean, would they go (to a mall) and say, 'What's your invoice price on that beautiful suit?' No. So why are they doing it here?" Presumably "lie downs" are African-Americans. The study by Ian Ayers of Yale Law School that Gladwell brought up as evidence that salesmen were unintentionally discriminating showed that black law students couldn't negotiate as low a price as white law students. The rest of the sentence is a little ambiguous, but I'm guessing that "roaches" are Mexican-Americans (although Mexicans could be the bad negotiators and blacks the bad credit). I suspect that "mooches" "from that country" does not mean from Mexico, but is more likely referring to hard-nosed Asian immigrants such as Koreans. In Phillips' experience, the American brand dealership he worked at second was less obnoxious, while the popular Japanese dealership was pretty much plain evil. That's been my experience over the years with a certain gigantic T-y-t- dealership in the San Fernando Valley. They ripped my deaf octogenarian father off for a ridiculous interest rate when he could have paid cash for his Corolla. Mostly, though, they seem to exist to psychologically intimidate Mexicans into paying too much. Back in 1980, I read John T. Molloy's advice book Dress for Success. It was aimed at the large number of men who don't particularly care about looking good, but who don't want to look bad. It was nearly unique in that Molloy had done simple social science research before offering his fashion advice to men in the business world. What kind of unspoken prejudices do the public hold about men's clothing? For example, he asked the cops at a New York commuter train station if they'd ever arrested a pickpocket wearing a tie. No. He then tried bumming train fare home to Connecticut by claiming to have lost his wallet. When dressed in a suit and a tie, he was remarkably successful, with some commuters even giving him extra money to buy a newspaper to read on his way home. When wearing a suit but no tie, he did okay. When dressed casually, he did poorly. He reported that his research showed that the hierarchy of suits in terms of perceived trustworthiness and favorability was blue > gray > brown > green. To the public, a man wearing a blue suit was seen slightly more favorably than a man wearing a gray suit. A maroon tie was best. In contrast, men dressed in (and my memory is murky here) green suits and/or bowties were assumed to be embezzlers, college professors, or alcoholics. Perhaps a green suit and a bowtie was assumed to be worn only by academics embezzling the departmental petty cash for cheap gin? All in all, it was very helpful stuff for a young man. A former salesman for the Philadelphia Eagles Radio Network has been awarded $614,000 by the Pennsylvania Human Relations Commission in a discrimination case that began after his supervisor handed out copies of a book, New Dress for Success, by John T. Molloy. In May 2001, supervisors at the radio network, which is affiliated with WYSP FM in Philadelphia, distributed the book to all its salespeople, including Shawn Brooks, 34, then the only African-American salesperson on staff. The book is a collection of advice on how to dress for business success, and in a chapter directed at minorities, it advises blacks selling to whites not to wear "Afro" hairstyles or African-style clothing. It also advises Hispanic salespeople o "avoid any hair tonic that tends to give a greasy or shiny look to the hair; this also triggers a negative reaction." Brooks was offended by the contents of the book, and when he deemed the response to his complaints insufficient, he resigned and filed discrimination charges with the commission. Brooks found sympathetic ears at the commission. After reviewing the book, commission Chairman Stephen A. Glassman called it "the most egregious case of published documentation on stereotyping and bias toward race, gender and religion in the workplace the commissioners have seen in a long time." Viacom Inc. and Infinity Broadcasting, the network's parent companies, have appealed the ruling to a state appellate court. Here's more on this case from Michael Smerconish, including an interview with Molloy about it, and some ironies. I don't know what the eventual outcome of this discrimination case was. Typically these extremely egregious cases get sanded down in the appeals process. If I were Brooks' lawyer, I'd advise him to be happy with a settlement offer of, say, $100k. P.S. Doing some more research, I find this 2009 Third Circuit Court of Appeals decision affirming the trial court's summary judgment against the plaintiff. In other words, assuming the case didn't go on to the Supreme Court, the black guy lost completely. It only took eight years and a 16-page decision of the second highest level court in the land. My impression is that these kind of initial decisions giving absurd amounts of money to blacks for exigent degrees of discrimination constitute a kind of urban folklore among black people, encouraging them to be on the lookout for a lawsuit that could make their fortune. The fact that many of the most ridiculous charges of discrimination eventually get dismissed or get settled for pennies on the dollar is not widely known. It's not considered news. Blacks find it depressing. The occasional white populist like Smerconish finds it boring. Elite media doesn't find it fits the Narrative. And there is almost no will in America to shame individual blacks for these kind of violations of civil society. Second, consider the "chilling effect" of this eight year long lawsuit. Justice William Brennan of the Warren Court popularized the phrase "chilling effect" as something we must be vigilant against in making sure that laws don't suppress free speech. The chilling effect of anti-discrimination efforts on free speech is pretty obvious if you stop and think about it, but almost nobody ever does. As I've pointed out many times, much of what we think of as speech in the U.S. is paid for by businesses, and businesses are loath to associate their names with anybody who could be cited in a discrimination lawsuit. For example, Malcolm Gladwell is a role model to a generation of journalists (e.g., Jonah Lehrer) because of his ability to profit lavishly from both the prestige press and from corporate speaking engagements. Corporations know that they won't get in legal trouble hiring Malcolm Gladwell to speak to their salesmen, but they could hiring somebody "controversial." Although Brooks was understandably offended by the contents of the book he was instructed by Zurzolo to read and follow, the record is clear that Zurzlo did not know about the book’s offensive passages and that employees were quickly informed that the book did not reflect the views of the company or their supervisors. Given this, the distribution of New Dress for Success does not represent sufficiently severe harassment to support a Title VII hostile work environment claim. If I were a manager at a deep-pocketed corporation, from this I'd draw the lesson that black and Hispanic employees are "understandably offended" by Molloy's findings, so, to be safe, our corporation better not have anything to do with Molloy. Granted, the court decided that handing out the book alone is not enough for a $614,000 payout, but it doesn't help. I am affiliated with a large university. Every time a crime happens on/near my campus (if the victim is a university affiliate), the campus security department sends an email to all affiliates with a description of the crime and a description/photo of the perpetrator(s). I have been affiliated with this university for over a decade and have received several such emails a month. In every single instance, the perpetrator(s) are young black males. My question: How do I avoid fearing/stereotyping young black males when I am out on the street? Most of these perpetrators have not been caught. Some of the crimes are quite violent. - readers surmise that this campus must be Columbia, or Yale, or U. of Chicago, or U. of Illinois Chicago, or Penn, or Northwestern, or Loyola. A few readers slyly imply that it's somewhat futile to try to identify which unique campus has this unique problem. - "You don't know what you're talking about. Black people are more likely to be charged and convicted for crimes. This does not mean they commit more crimes. You need to work on your critical thinking." - "Keep in mind, a white guy shoot and killed 27 people two weeks ago." - "And another white guy shot up a mall just before that. And another white guy shot up a movie theater a little while ago." - "But how about the Midwest and Kentucky? Plenty of scary white people there. You seem really uninformed." - "This post made me think of Sandusky..."
- "How about all those white priests! Just saying." Anyway, I've always wanted to turn this discussion around and discuss how non-criminal black males signal to white people on the street that they aren't violent. A lot of white people would probably like to stereotype more accurately, but our society makes almost zero effort to educate well-intentioned whites in how to do it. Brent Staples of the New York Times Editorial Board wrote a famous essay about how filled with rage it made him when a woman walking alone down the street at night worried that he might be an Angry Black Man. As he got older, he decided, though, that it would be best for all concerned if he tried to alleviate tension proactively by whistling selections from Vivaldi's The Four Seasons. 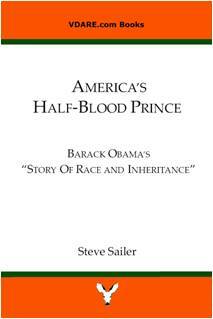 This essay is now cited frequently to demonstrate the terrible cross black men must bear: for example, a recent book by Claude Steele was entitled Whistling Vivaldi. My guess is that a large fraction of younger black men like to send clues that they aren't thugs. For example, in the 1990s, after Spike Lee's "Malcolm X" movie came out, it seemed like wearing glasses became a bit of black male shorthand for "I'm black and I've been to college." But, I don't keep up with that sort of thing as much anymore. And it's difficult for general clueless white people to look up on the Internet signifiers of black harmlessness without being able to read way between the lines. You could probably watch a whole lot of Key & Peele shows and make up lists of class markers among blacks, but anybody who wrote up a table for the straight-forward education of well-meaning whites would get in trouble. Moreover, blacks police blacks who don't act thug enough. For example, Washington Redskins' Heisman trophy-winning star rookie QB Robert Griffin III got dumped on for not being black enough, even though he looks about 98% black, and so far seems like a credit to any race. So, if nice white people started to figure out what the signals were, blacks would razz the ones who showed them, making them unpopular. Moreover, white people love to ironically espouse thuggish black fads like hoodies, a sort of KKK hood for convenience store robbers. Notice that when that Mexican-American lady-singer, Jenny Rivera, died in a plane crash in Mexico this month, it was only slowly noticed by America's white media that she was a huge star in narcocorridas. It turns out her father is a big name as a producer in that field. Jenni Rivera, the Mexican American pop music singer who died in an airplane crash this weekend, came from a family that wielded an enormous influence on Mexican popular culture in Los Angeles. Her father, Pedro Rivera, is a pioneering entrepreneur among the business class that grew from, and grew strong in, the Mexican immigrant consumer market in the cities of southeast Los Angeles County. Among his achievements, Pedro Rivera was among the first to release the records of Chalino Sanchez, a skinny young immigrant from Paramount, who, in death, would become the godfather of the Mexican narcocorrido or narco-ballad. Pedro Rivera formed Cintas Acuario from a Long Beach storefront. The company rode the immense narcocorrido wave that followed Sanchez’s slaying in 1992 with a series of anthology cassettes -- Corridos Perrones -- with bands and singers posing with AK-47s, flashy cars and songs suggesting the musicians’ drug-mob connections. That's all news to me, as it is to white people everywhere. There are practically no SWPLs in the United States who are into narcocorridas, not even ironically. When some rapper gets shot, everybody at Brown U. swoons from the exciting tragedy of it all, but nobody cares about the Mexican equivalent. It's not that white people were never interested in this kind of music. For example, Marty Robbins' El Paso was a huge hit in 1959. But, they moved on. On the whole, it's good for Mexicans that white people don't find them cool. During the post-2008 economic slowdown, crime has generally ebbed. But, Chicago remains an aberration, reaching its 500th homicide of 2012 this week, more than the much larger city of New York. What are the most plausible theories for what is going on in Chicago? Why is the Hitlermobile still fashionable in 2013? 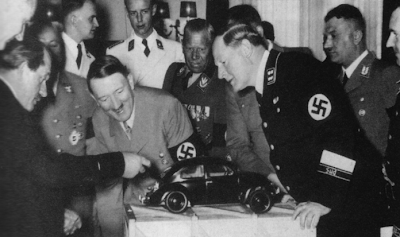 Today, the latest Volkswagen Beetle resembles what Hitler would have come up with if he'd had a second testicle. In reality, Hitler didn't actually design the Volkswagen Bug. He just gave Dr. Porsche the specifications (carry a family of five at 62 mph, and sell for under 1000 marks) and a lot of enthusiastic suggestions. 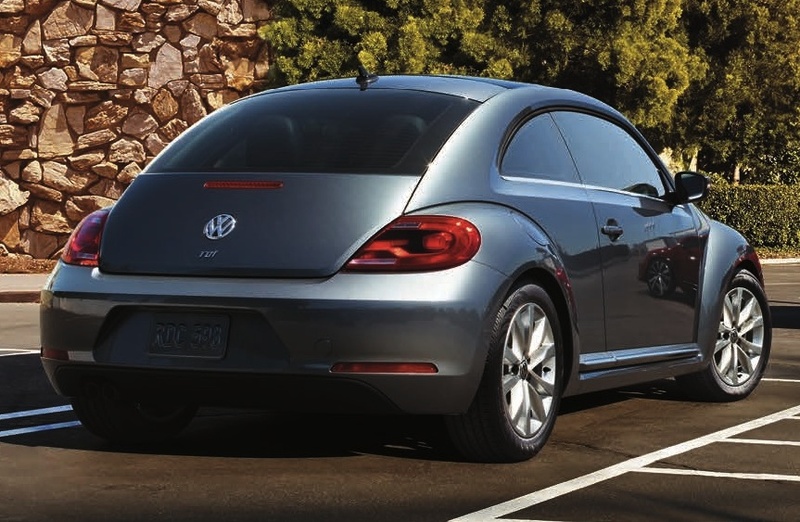 Of all production cars in the 21st Century, the Volkswagen Beetle has, by far, the oldest body style. It's recognizably the same shape that was delivered to Hitler on his 49th birthday in 1938. That's particularly interesting because -- although the original rear-engined car was manufactured in Mexico up through 2006 -- for the last decade and a half, the VW Bug sold in the U.S. has been all new under the sheet metal, with a front engine and front-wheel drive. But VW has gone to great pains to keep the silhouette recognizable as the same beetle-like one that Hitler loved three quarters of a century ago. Even as Volkswagen has flipped the current front engined Beetle back and forth from a feminine style to now a masculine style (on the sensible grounds that girls will buy guy cars, but guys won't buy girl cars), they've kept the overall look recognizably Hitlerian. I wonder if Porsche ever asked Hitler why Germany, a densely populated country well-served by rail and lacking in petroleum resources, truly needed a mass market car seemingly best suited for a continent-sized and resource-rich country like America. Hitler might have replied, "You get me the car, I'll get you the continent." 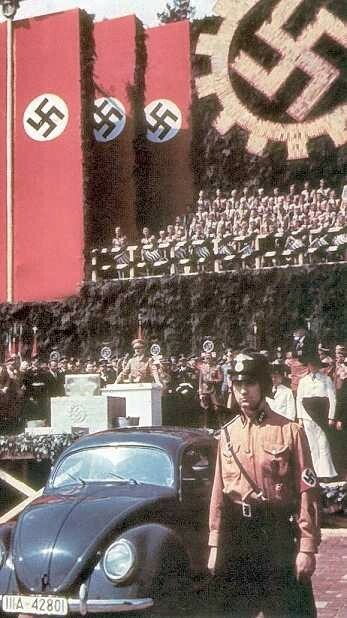 Then, again, Porsche wasn't really the question-asking type, or so he explained to the Allies in 1946. This is not to say that the VW Beetle caused the War. Yet, in Hitler's mind, it was one of the pieces of his plan. The Volkswagen—and I think our war experiences justify us in saying so—is the car of the future. One had only to see the way in which these Volkswagen roaring up the Obersalzberg overtook and skipped like mountain goats round my great Mercedes, to be tremendously impressed. After the war, when all the modifications dictated by war experience have been incorporated in it, the Volkswagen will become the car par excellence for the whole of Europe, particularly in view of the fact that it is air-cooled, and so unaffected by any winter conditions. In theory, being closely associated with Hitler is a downer from most marketing perspectives. For example, consider the term "eugenics," which was associated for about a century with the British Darwinian tradition, and with Anglo-American progressivism. Inspired by Galton's vision of increasing eugenic awareness, scientists who were eugenics enthusiasts made major breakthroughs in fields as disparate as genetics, psychology, evolutionary theory, statistics, psychometrics, and electronics. For example, it's not a coincidence that what's today Silicon Valley was a center of IQ research and eugenics promotion (e.g., the Termans) from the early 1900s into the 1970s. And, yet, somehow, Stanford didn't invade Poland. But, since the 1970s or 1980s, eugenics has been as closely associated in the popular mind with Hitler as the Charlie Chaplin mustache, even though the connection between eugenics and World War II is certainly no more direct than between the VW Bug and WWII. But, the past is mutable. To propound the central role of eugenics had to wait for a generation to pass so that those who actually remembered the era were in decline in numbers and energy. 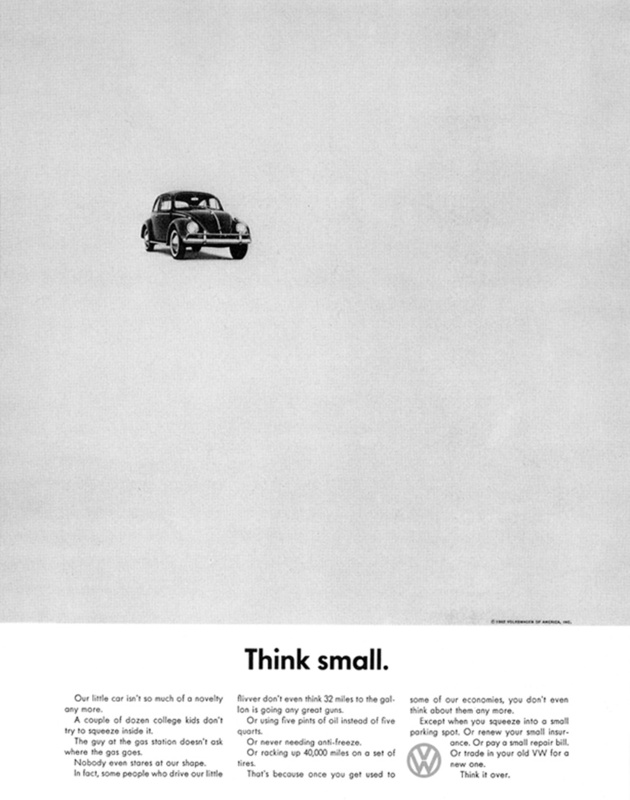 In contrast, in the late 1950s, the Volkswagen company hired Bill Bernbach's advertising firm to write a long series of brilliant ads to make the Beetle seem cute rather than sinister, to wash away the memories of all those pictures of Hitler with his Beetle. In 1999, Advertising Age named Doyle Dane Bernbach's "Think Small" ads the greatest ad campaign of the 20th Century. End of the Year Panhandling! Your response to my fundraiser in early October was so encouraging that I'm going to wedge in a second drive for 2012. Part of my project of noticing what's in front of one's nose is to finally incorporate real estate into intellectual discourse, front and center Most people spend a lot of time thinking about where they'd like to live and and how much it would cost, the interesting implications of this natural human obsession were largely ignored in high-end intellectual discourse in the later years of the 20th Century. Too mundane, or something. In this century, we see a few academics start to tug at various corners of this over-arching web of causality. Much of the current Red-Blue divide in how states vote for President evolved only over the last generation. The Gap now closely correlates with housing prices by state: e.g., the expensive San Francisco Bay area votes Democratic and the cheap Dallas-Fort Worth metroplex votes Republican. But, differences in housing prices were not so striking in the past. For example, homes in Los Angeles were no more expensive than the national average up through 1975. FOR 100 YEARS, the United States experienced a steady decline in income disparities between the richest and poorest states—with Mississippi and Alabama, for example, beginning to catch up to the more prosperous Connecticut and New York. But this equalizing trend ceased after 1980. Why? According to Daniel Shoag, assistant professor of public policy at the Kennedy School’s Taubman Center for State and Local Government, housing prices explain a large part of the puzzle. In a recent working paper coauthored with doctoral candidate in economics Peter Ganong, Shoag found that land-use restrictions in high-income locales have created barriers to entry for less-skilled workers, exacerbating inequality and threatening labor mobility—a key component of a healthy economy. Economists have long viewed the leveling of U.S. regional incomes as a prime example of “convergence”—the principle that, in a market system, poor economies will grow faster than rich economies as capital moves in search of greater productivity gains. Yet this “capital mobility” theory doesn’t explain why the nation’s wealth gap stopped closing 30 years ago, leaving poor states still a sizable distance behind. What caused housing markets to change? The researchers created an index of regulation that could predict the flexibility of housing supply in different states in response to demand. Using an online database, they measured the number of times the phrase “land use” appeared in appellate court cases by state and year, and found that land-use restrictions became more common nationwide in the 1970s, but that not all states became strict regulators. The Have places (e.g., Northern California) had gone heavily for land use regulations while the Have Less places (e.g., Northern Texas) had not. The frequency of “land use” references in a state’s legal history proved a good predictor of whether a state would develop a high-regulation housing economy with constrained supply. By measuring regulation levels, Shoag and Ganong were able to test their hypothesis: they found that regulations limit housing supply by reducing the number of permits for new construction, and raising prices. This lowers net migration, and thus slows human-capital convergence and income convergence. It's worth noting an important distinction in regulations on land use between new construction (which are enforced with severity) and land use regulations on existing construction (which often get a wink and a nod). Recall how The Edge of U2 has hired half the ex-legislators in Sacramento in his struggle to build five houses on a ridge in Malibu. In contrast, 20 miles away in Northridge, a resident of an illegal boarding house holding 17 people in a one family home murdered four other people. Americans, used to having a certain standard of living, move out of regions with strict regulations against new construction and unenforced limits on overcrowding existing construction. Foreigners, who will live 17 to a single family home, move in. The authors have yet to investigate why increased regulation took hold in certain states, but they do know that land restrictions preceded the concentrations of wealth. 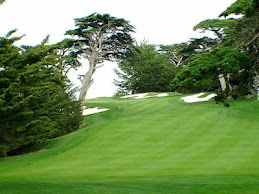 Land use regulations tended to take off first in places like Northern California where you have a combination of really nice land hemmed in by deep water, lots of local high-end wealth producing businesses, and a post-Puritan tradition conducive to elitism. During the period of strong convergence prior to 1980, population flowed from poor to rich states, and changes in population were also well-predicted by initial income. Figure 3 plots the relationship between the twenty year changes in log population and initial log income per-capita for the period 1940-1960. Over those decades, a doubling in initial income per capita was associated with an 1.6 percentage point higher annual growth rate in population. Four states – Arizona, California, Florida, and Nevada – had high average incomes and grew extremely quickly. Hey, those states that grew both in population and wealth in the good old days -- Arizona, California, Florida, and Nevada -- where have we ever heard of them before? Oh, yeah, they are Michael Lewis's Sand States, the one's where the popping of the Housing Bubble set of the current recession. Funny how new arrivals in the Sand States did so well in 1960-1980, but not so hot in the 21st Century. I wonder what changed? In the last thirty years, this pattern has largely disappeared. ... As an example, from 2000 to 2010 Utah’s population grew by 24% wheareas Massachusetts’s populaion grew by just 3%. This occured even though per capita incomes in Massachusetts were 55% higher in 2000. And, funny thing is, people in Massachusetts like getting richer without getting more crowded. They like improving the quality of newcomers. Now, it's hard to fit Massachusetts' successful policies of snobbism in with Massachusetts' loudly proclaimed ideology of equality, but such is the way of the world. SIDNEY, Mont. — For most high school seniors, a college degree is the surest path to a decent job and a stable future. But here in oil country, some teenagers are choosing the oil fields over universities, forgoing higher education for jobs with salaries that can start at $50,000 a year. It is a lucrative but risky decision for any 18-year-old to make, one that could foreclose on his future if the frenzied pace of oil and gas drilling from here to North Dakota to Texas falters and work dries up. But with unemployment at more than 12 percent nationwide for young adults and college tuition soaring, students here on the snow-glazed plains of eastern Montana said they were ready to take their chances. ... Even gas stations are enticing students away from college. Katorina Pippenger, a high school senior in the tiny town of Bainville, Mont., said she makes $24 an hour as a cashier in nearby Williston, N.D., the epicenter of the boom. Her plan is to work for a few years after she graduates this spring, save up and flee. She likes the look of Denver. “I just want to make money and get out,” she said. But school officials in eastern Montana said more and more students were interested in working for at least a year after graduation and getting technical training instead of a four-year degree. Last year, one-third of the graduating seniors at Sidney High School headed off to work instead of going to college or joining the military, a record percentage. Uh-oh ... One out of three high school graduates gets a job. ... Meanwhile, enrollment at Dawson Community College in Glendive, about an hour from Sidney, has fallen to 225 students from 446 just a few years ago, as fewer local students pursue two-year degrees. Obviously, the solution is to get undocumented workers to do the jobs Americans just will do. Remember, cheap labor and diversity are the solutions for whatever problems you've got, even if they aren't problems.